I’ve got a little bit of Fall Fever going on over here. I’ve been pinning fall stuff like crazy, dreaming about rust colored mums in my sleep and eating way too much candy corn. Not to mention trying to decide how I want to decorate my entryway this year. There’s so much to do and so little time. Wait, it’s not even Labor Day yet! 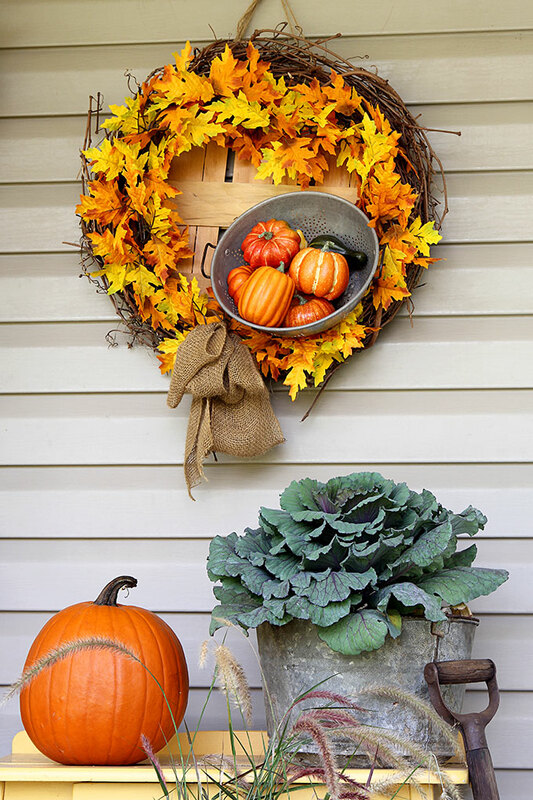 One of the very first places I like to decorate is my porch, including a festive fall wreath for the front door. 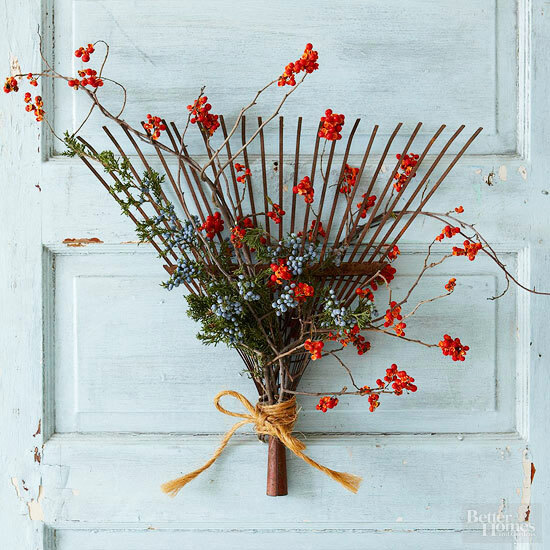 You can check out some of my previous fall porch decor on last year’s post called 5 Festive Fall Porch Ideas. 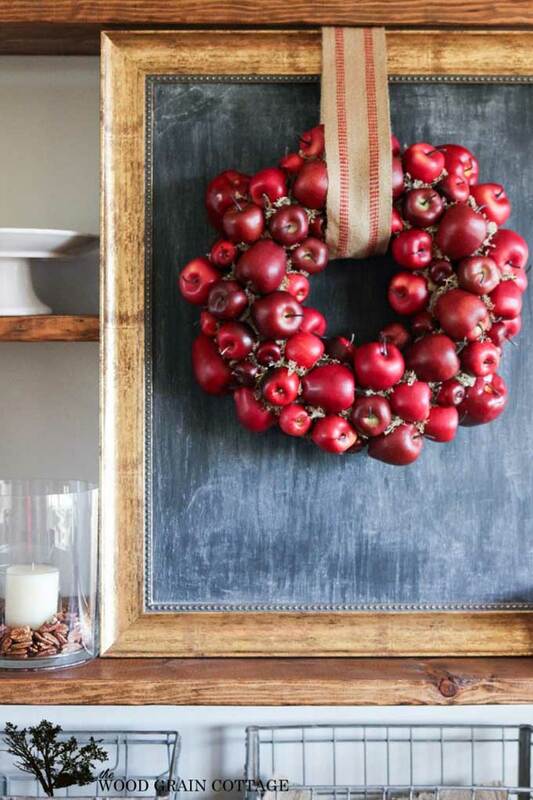 Now, there’s nothing wrong with a store bought wreath. I’ve seen some pretty cute ones out at the stores already. But I like to DIY a good wreath when I can, just to have something a little different on my door (like my owl wreath that was neither a wreath nor actually on my front door). 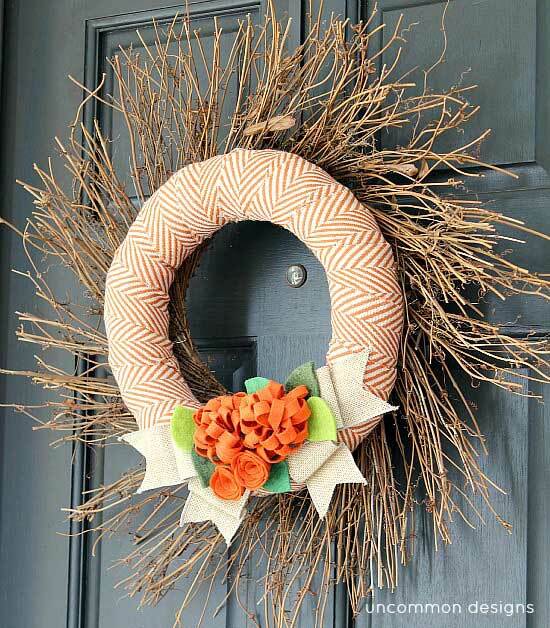 So today I wanted to share some fall door wreaths that you can make for yourself. All except one has an accompanying tutorial (because do you really need a tutorial to tear the head off a rake and wrap some pretty vines around it?). So it’s time to get your fall on! As a bonus, Carrie at Kenarry had an awesome tutorial with video that shows you how to make a burlap wreath! 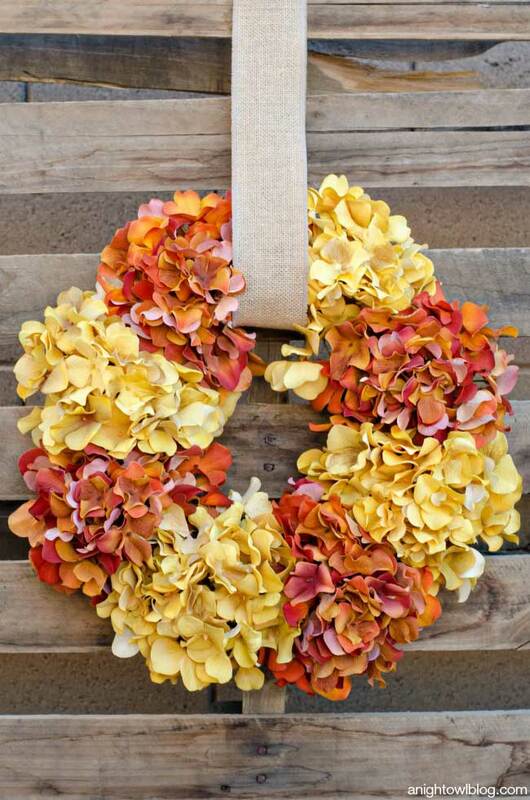 Because if anything says FALL, it’s a burlap wreath! 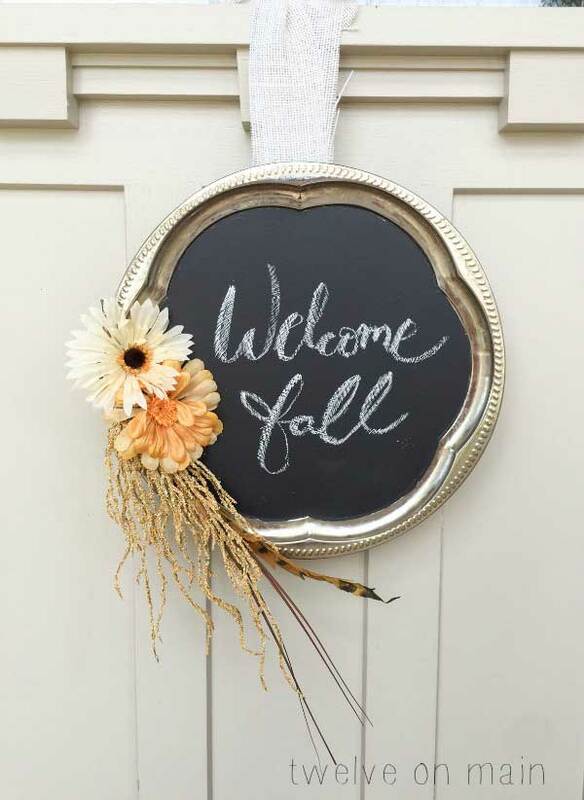 Have you decided what you’re putting on your door this fall? I love all of the wreaths. Especially the simplicity of the wreath that you made. I’m totally inspired. 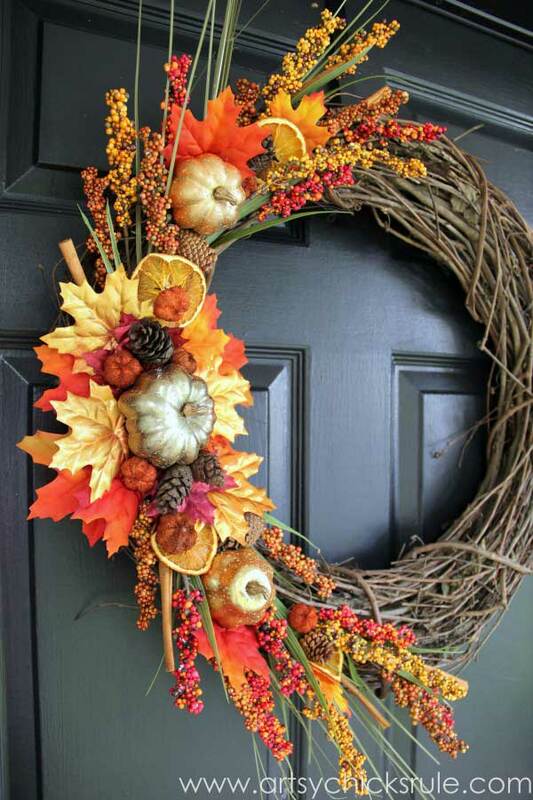 I have been thinking about making a new wreath for our front door for the fall. I’m still not exactly sure what I’m going to do but you’ve given me some awesome ideas. Thank you so much. You’re welcome Amy! 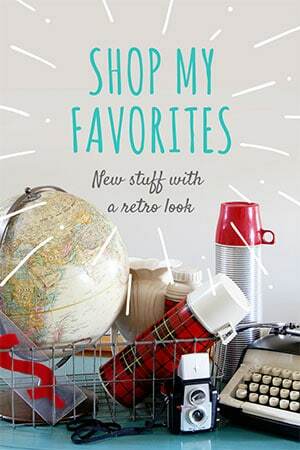 I love to check out what other people are making to get some ideas! Wish I had storage for them. I thought that one was a neat idea too, plus you could change out the writing and flowers on it for different seasons. sweet wreaths. my favorite is the rake. 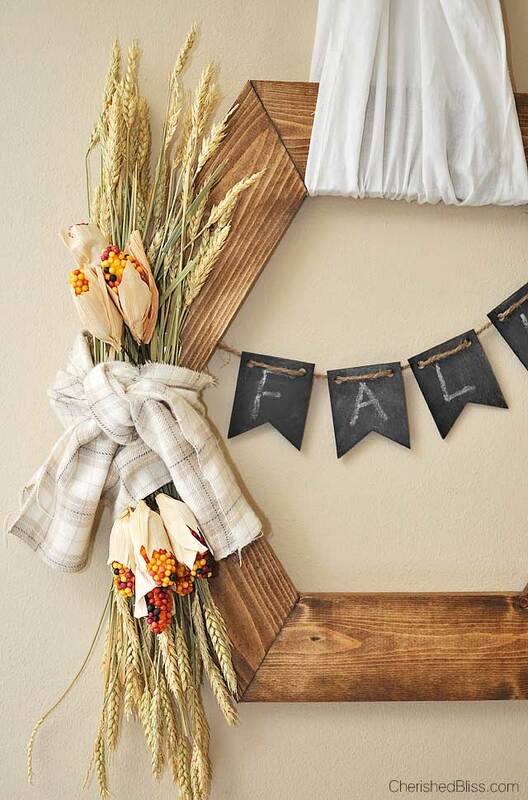 These all DIY fall wreaths are amazing. This is such a beautiful collection. I liked the Wreath from Artsy Chicks Rule most. 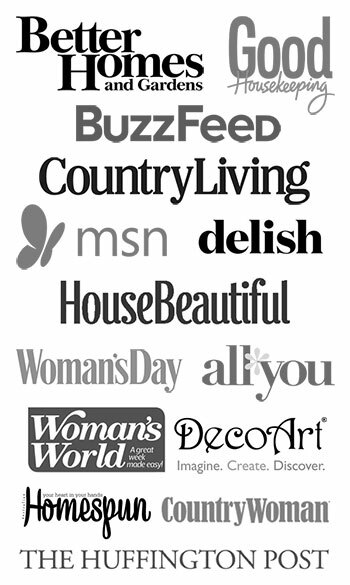 I love all of those! Anything unique catches my eye, so I like the rake too, but all of them are lovely. Thanks for the roundup Pam. Pinned. This is so adorable! 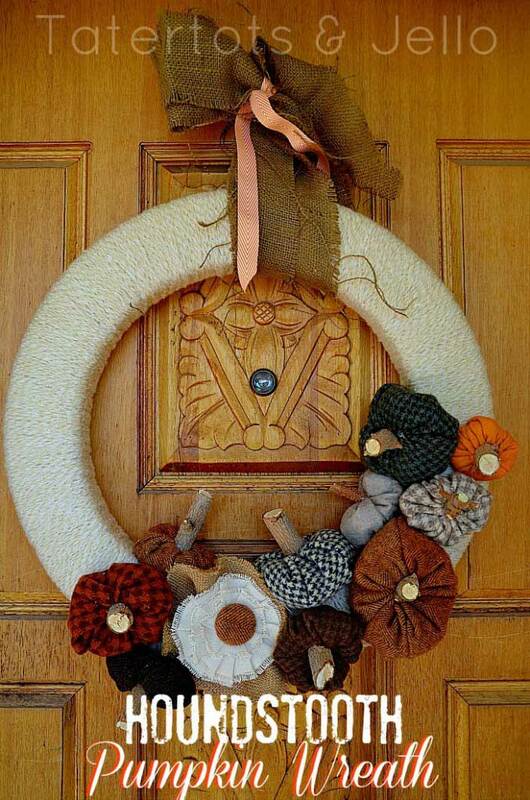 I’m gathering needy instrument for front door wreath so I can make one. 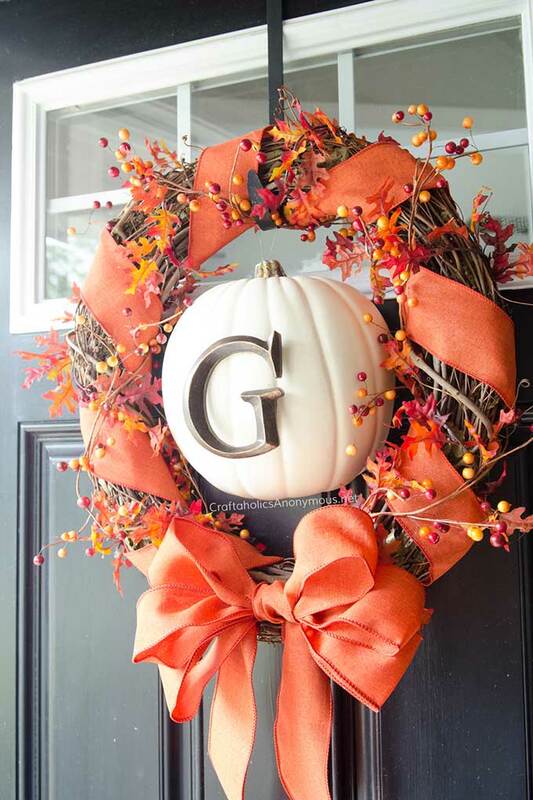 Awesome I like the pumpkin and rake wreaths best. Thanks for sharing this fabulous post. Have a nice day. Nice makeover…! 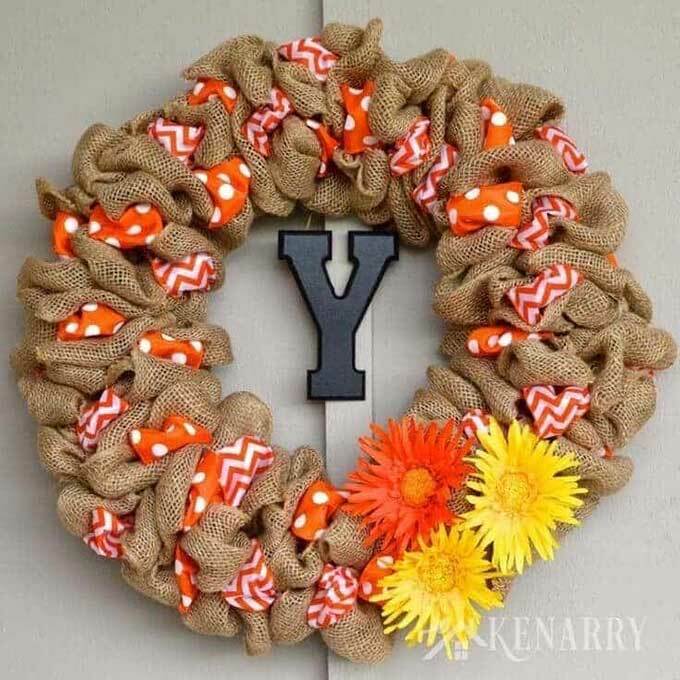 Your wreaths look awesome and unique designs feel so good. This is the best entryway for front door decor. I like your DIY tips and ideas. I am trying to follow your technique. Thanks for sharing your post.